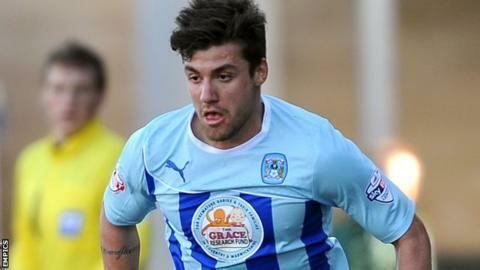 Queens Park Rangers youngster Michael Petrasso has signed a new three-year deal with the Championship club. The 18-year-old Canadian winger is yet to make his senior debut for the R's but has made 22 appearances this season during loan spells at Oldham and Coventry City. "It's a really exciting time for me and my family," he told the club website. "Going out on loan helped my confidence a lot. It was my first time playing League football and it helped." Since returning to Loftus Road in mid-March, the Canada Under-20 international has been on the bench during recent Championship matches against Middlesbrough and Blackpool. "Being around the first team has been a great experience," Petrasso said. "It's a tight race to get to the Premier League and I'm just hoping I can be a part of it."